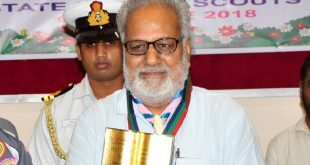 Bhubaneswar: Bihar Governor Satya Pal Malik on Wednesday took additional charge as Governor of Odisha following completion of S.C. Jamir’s tenure as Odisha Governor. 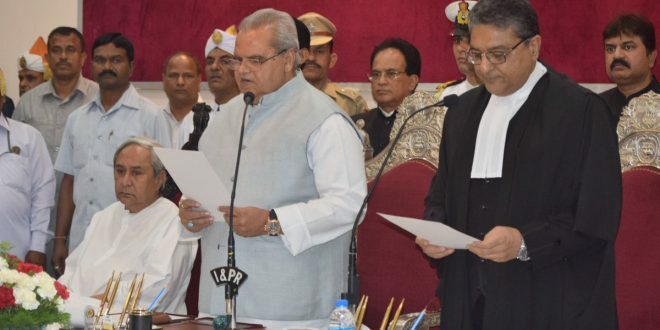 Satya Pal Malik was sworn in as the new Odisha Governor by Orissa High Court Chief Justice Vineet Saran at Raj Bhawan here. Chief Minister Naveen Patnaik was present during the occasion. Malik was accorded guard of honour after he arrived at Raj Bhawan on Wednesday.